I'm crazy THRILLED about something. I don't know how to describe my delight about it, because when I think about being featured on Where Women Create my brain starts spinning. I feel so honored. There is a give-away too! You can enter to win all the owl party downloads and a dozen of my fabric roses! Happy Happy Happy Monday All!!! And I absolutely~utterly ADORE that owl party you created! Seriously one of the CUTEST things I've ever~ever seen! Is there a tutorial on your blog about making those fab flowers that are posted on Where Women Create! Lol... you're a doll! And yes there is a tutorial, here is the link! Well done, you sooo deserve it, this weekend I will be starting my First Owl of many to come, I can't wait,My son is 5 mths so by the time I finish all 12!! he will be able to truley enjoy them. So here is what happened... 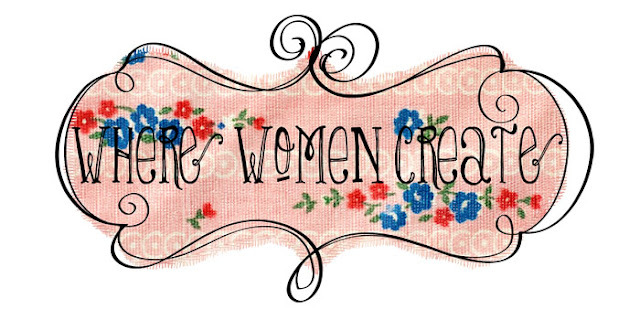 I was purusing the endless sea called the internet when i found 'where women create'... which led me to your blog... I got lost in your blog for an hour (or more... I'm not telling how long, it'd sort of make me look like a crazy person)...which made me want to reach out and tell you how talented you are and how inspiring your creativity is and how lucky your kiddos are to have such a wonderful mom like you! I love the owls. Now if I can just find the time to go get some felt! I will get started makeing them. The roses are sooo cute, I would love to win a dozen of those. Congratulations on the feature! You deserve it for sure! Your creativity is an inspiration to all of us! Love the owls!!!! Thanks for a beautiful and inspirin blog! visiting from where women create. Loving your blog! Super excited to see what all you have here!